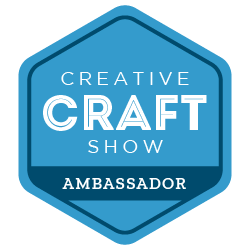 Today I’m joining with some other amazing bloggers for the October Upcycle Challenge. The waste paper basket in our dining room was looking very tired, plus it didn’t match the decor of the room at all. It must be 25 years old at least - we don’t get rid of things round here unless we absolutely have to!! Spray Paint is great for covering wicker (all those nooks and crannies), Novasol provided me with some Pinty Plus Spray Paints to use for this project. I started with 2 coats of Imprimaacion chalk finish primer. I found it best to do one coat with the basket the right way up and then a second coat with the basket upside down. After the primer I gave the basket 2 coats of Pinty Plus spray chalk paint in Broken White. 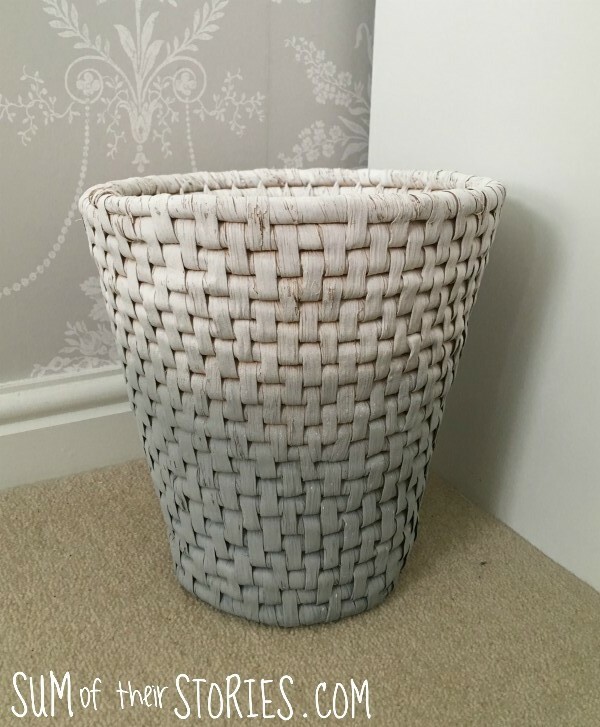 I wanted to give the waste paper basket an ombre effect so next I used the Ash Grey chalk spray paint and only sprayed the bottom half of the basket. Do this a little at a time, just a light spray from a little further away than normal to start with then a second and third coat concentrating the colour more towards the bottom of the basket. Build it up gradually. I wanted to give this waste paper basket a little something extra though so I dug out this length of lace that I had rescued from some old bed linen and just hot glued it to the top of the basket. 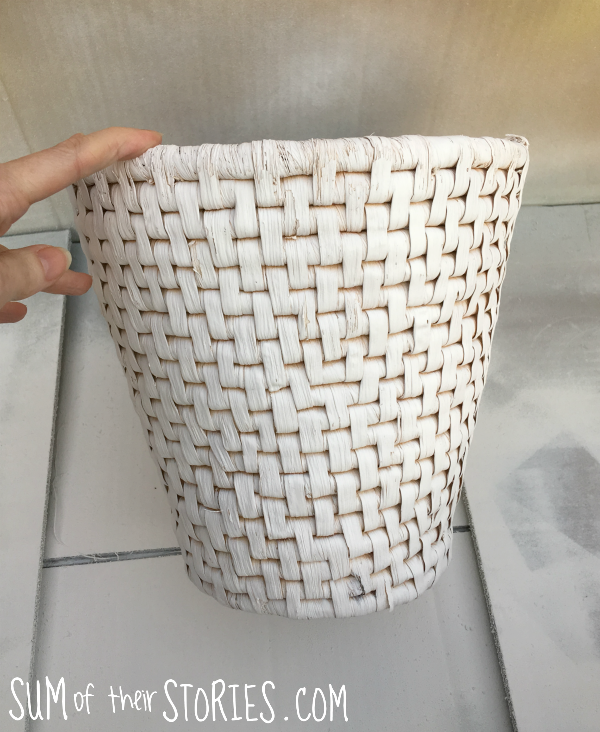 I loved this ombre paint effect so much I tried it out on another basket that I found knocking about in our garage. This one had come with a plant in it so it is lined with plastic. I gave it exactly the same treatment as the waste paper basket, primer, 2 coats of white chalk spray paint and the ombre effect with the grey. For this one I tried a brighter approach. 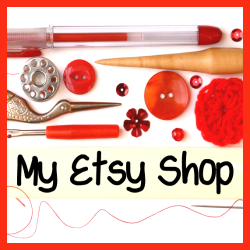 - multi coloured rainbow scrap pom poms. 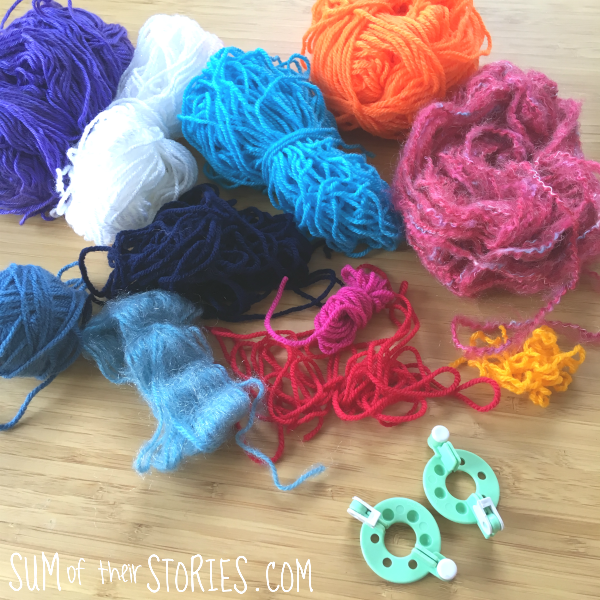 Anyone who knits or crochets will have a load of little scrappy bits of yarn. It’s just one of live’s truths! If you don’t do any yarn crafts just ask anyone you know who does. I’m sure they will be happy to let you have some of their scrap yarn stash - we all hate throwing perfectly good yarn away! I made 3 little scrap yarn pom poms using my new pom pom makers. I’ve made scrappy pom poms like this before using the ‘over the hand method’ (you can read about that here) but this was my first time with my pom pom makers. I chose the smallest size as the pom pom turn out about 1.5” in diameter which worked well for this basket. 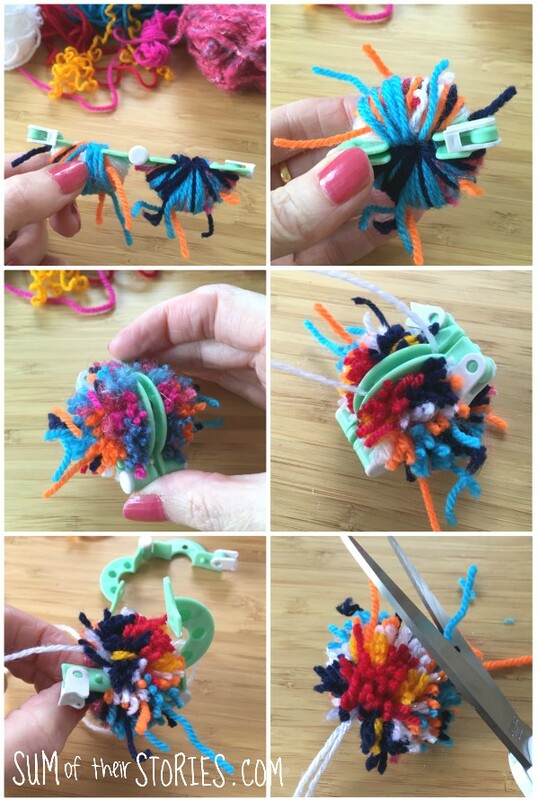 The advantage of this method over the ‘round the hand’ method is that you have a lot less waste of yarn, your pom poms only need a little trim to tidy them up. Just hot glue them to the basket. Cute! I’ll be sharing this project at these link ups. Do pop by and visit the other talented bloggers joining me in this upcycle challenge, see what other inspiration you can find for making your old things new again.